Kew Gardens is now in the final stages of the largest restoration project in its entire history. On 5th May 2018, the doors of the spectacular Temperate House will be thrown open to reveal 10,000 breathtaking plants, making this magnificent structure the true jewel in the Royal Botanic Gardens crown. 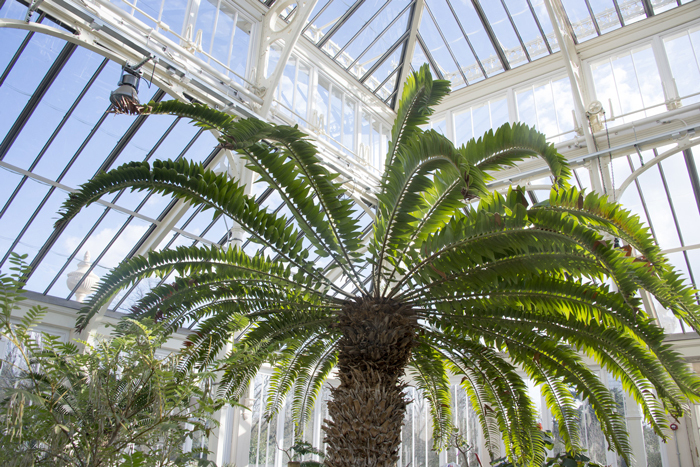 The Temperate House is the world’s largest Victorian glasshouse (built 1863) and following restoration it will once again be home to some of the world’s rarest and most threatened plants. The restoration has cost £15 million and has been funded by the National Lottery, plus support from DEFRA and other donors. The plants, in contrast to their sumptuous, romantic surroundings, present a stark message – despite being the foundation of pretty much all life on earth, we are allowing them to fall prey to a variety of threats. 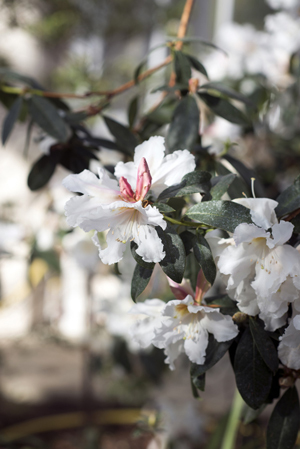 The Temperate House will tell the stories of the plants that Kew has rescued and the journeys they have taken to reach the sanctuary of their new home. Visitors are in for a round-the-world adventure – you might find yourself in Mauritius where you will see the Dombeya mauritiana, a tree that was thought to be extinct in the wild, until Kew’s renowned ‘plant messiah’ Carols Magdalena found one growing in the Mauritian highlands. Or you might be transported to the mountains of Nepal, where you will encounter Taxus wallichiana, exploited for the Taxol market (a chemotherapy drug) and now subject to a clonal propagation programme to help it conserve it in the wild. Director of Horticulture at RBG Kew, Richard Barley, has watched as some of the world’s rarest plants finally reached their new home: “And what a home it will be – a glistening cathedral, the new glass allowing the sun to stream in, the ironwork restored to its glossy best. The Temperate House will be for everyone. From young to old, for budding gardeners or aspiring artists, for those making a pilgrimage from great distances, and for our local community, we hope every visitor will see plants in a new light“, he says. 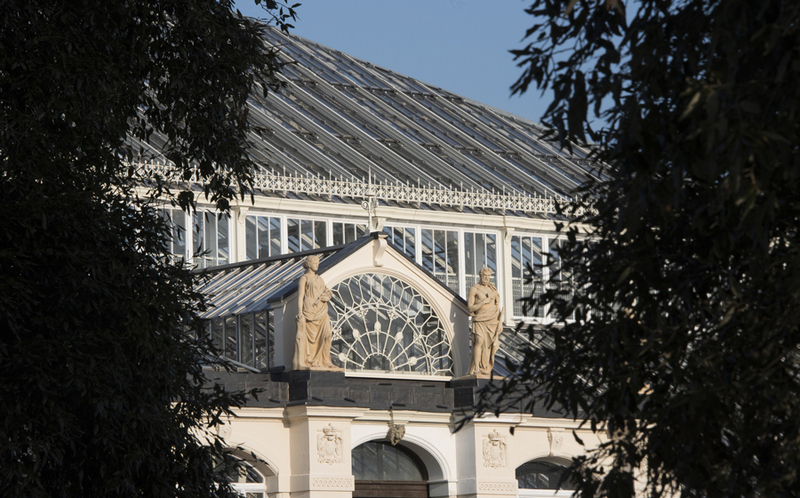 Lead architect, Aimée Felton, points out that the restoration of the Temperate House has been a complex and immensely rewarding project recalibrating contemporary understanding of Victorian architecture and the development of past innovations: “New glazing, mechanical ventilation systems, path and bedding arrangements all took their founding principles from Decimus Burton’s own drawings, held within Kew’s archives. The time it will take for the newly propagated plants to reach maturity will offer visitors a full and unobstructed view of the incredible metal skeleton in all its glory: a cutting-edge sanctuary for plant,” Amiée explains. The restoration has been made possible thanks to the incredible support of the Heritage Lottery Fund. Their chief executive, Ros Kerslake, points out that the extraordinary glass structure that is the Temperate House epitomises all that is wonderful about Kew Gardens. It has been a priority of Kew to ensure that the re-opening of the Temperate House elicits rich engagement with the local community. Kew Community Allotments have been created to engage with a wide range of groups and Kew is also working with local children’s centres to invite young parents and children to take part in the first ever Kew Babies programme, where they learn through craft and music activities. The scheme has also equipped an additional six apprentices with the skills needed to work in conservation and construction for heritage sites, learning carpentry, iron work and masonry. Also to launch in May is the Endeavour Programme, a new online learning platform that will reach schools throughout the UK and engage children in challenge-based activities. Photo credits: All photographs are strictly ©Royal Botanic Gardens Kew.